For a long while, Facebook has allowed its members to review the businesses that appear within the business pages of the site. This allowed people who were interested in a specific business to check the Facebook page for not only the hours of the business but also what others thought about it. This hasn’t been overly helpful to businesses who wish to be discovered by new people since it only allows a person to check out a business that they already know about. All of that is about to change since Facebook is now testing a feature, known as Professional Services, which will make it possible for Facebook users to actually search for businesses that they might be interested in going to. 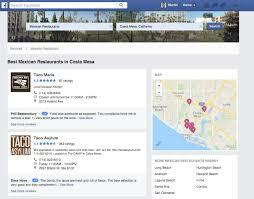 The feature will allow people to search for certain types of businesses that are within a certain distance of their Facebook location or any location that they search for. This will make it much easier for people to find the businesses in their area and read the reviews to decide between them. One of the main advantages that Facebook has over many review websites already out there is that users have to use their real names linked with their Facebook profiles in the reviews of the business. For many it is easier to trust people who are posting reviews that appear to all of their friends then it does some random people posting under strange usernames on an online site. Facebook users can read friends reviews and the reviews of other people who actually have their name displayed along with their review on the Facebook website. Testing of the new feature has companies like Yelp and Angie’s list worried about the future with Facebook as a competitor. With Facebook getting more involved in the rating of different businesses, there is some worry that people will choose Facebook over any of the other review sites they may have frequented. Many people already have a Facebook account so they may be more likely to post reviews and look for business reviews on this site. These website’s need not worry for a while at least since the feature is still only in the testing phase of development. 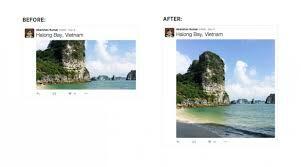 The newest change to Twitter is its end to the photo cropping that ensured that all images were limited to a certain size on its timeline. Though Twitter began as a text only social media site, the site has since added the ability to post photos and even videos. Up until recently these were kept from dominating a timeline by being cropped to size, but now Twitter is allowing pictures to be viewed in full without a user having to click on the image to see the whole picture. This new feature is sure to be a relief to all of the people who have previously been frustrated with the way that photos appeared. It is far simpler for users to scroll down their timeline without having to click on tweets in order to see the pictures in their full versions. Eliminating the cropping allows users to display photos as they are meant to see while allowing followers to easily look at pictures on the page. The new feature also changes the way that multiple pictures are displayed together to allow users to better show a collage of photos to their followers. There is likely to be some level of frustration with the new photos among those more interested in the text part of the site since these are now overshadowing tweets without media attached to them. The photos take up a great deal of space in the timeline and are much more likely to gain focus from those scrolling through the page. Many people who joined the original version of Twitter might not be too happy about further changes to the focus of the site. Twitter claims that it decided to make the change to bring the website up to date with the experience of modern media. It accepts that images are an important part of how people interact on social media and wants to add value to the way that photos are displayed within the website. Changes like this one bring Twitter into a better space to compete with other social media organizations such as Facebook and Instagram. Instagram is fairly new to the social media world when compared to Facebook and Twitter, but its growing popularity with both businesses and individuals is causing some problems for those who need more than one account. Anyone possessing more than one Instagram account has to log out of one of the accounts just so that they can login to the other account. This can be a major complication for the posting process, making it so that many users have asked for some solution. This doesn’t sound like such a big problem if you don’t have multiple accounts, but of course this is a complication for people who have Instagram accounts for work or for their business as well as personal accounts that they use with friends. You don’t want the people who follow your business on Instagram to see all of those selfies or pictures of your cat, you want them to get posts that actually relate to your business and make sense for this particular account and what it is made for. Unfortunately, is easy to forget to log out of your work or business account before switching over to using the personal one. Instagram has finally addressed this problem making it easier for business owners, or anyone with multiple accounts to move between the accounts without logging out. The social media site recently began testing a new feature on their app for Android users. This feature allows Instagram users with multiple accounts to easily switch between accounts, avoiding the hassle of signing in and out on the app. The app allows users easy access to all of their accounts so that they can pick which one they are using with the click of a button. For many people, the new feature is a long awaited one allowing them to easily go from a work account to their personal account and back without ever having to worry about making the posts in the wrong account. The feature will be getting a lot of love from small business owners, photographers, and social media managers since it will make their lives and multiple accounts so much easier to manage. 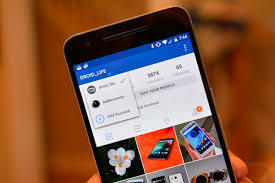 It is also great for individuals who might want multiple personal Instagram accounts that they can use for different types of pictures that they might be interested in sharing. In a world where social media is prevalent both for personal and business related pursuits, this is one feature that can help a great number of people. Facebook is for sharing important moments of your life with the people who mean the most to you. Unfortunately, when you want to get someone out of your life, it can be much more complicated to eliminate them completely because of social media. This is because social media sites, like Facebook, use predictive software to help people when tagging friends in pictures and suggesting posts that might be of interest to someone. After a break up, this predictive software can become very frustrating as it constantly tries to push your ex to the top of your news feed. Since many Facebook users have complained about the way that they interact with their ex via the social media site, Facebook has decided to try out a new tool that will give users a lot more control of what they see of their ex. When a person changes their relationship status, they will be prompted to select how they want to limit interactions with their ex. The tool will enable Facebook users to limit how these exes show up in their News Feed and will stop the programs from suggesting these individuals to tag in photos. In addition to altering the way that people can see their exes on Facebook, the tool also allows users to edit what their exes see of their posts. People will be able to avoid having their exes see certain posts that they make without blocking them from seeing all of their posts. 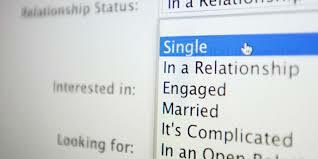 They can also edit past posts to remove tags of exes either all at once or by editing each one individually so that they chose how much of the past relationship is still available on Facebook. All of the features are completely private and exes will not be notified of the decisions that the other person makes when using this tool. For now, the feature is being launched in the US for mobile devices only. Facebook is hoping to gather feedback on how the tool works for individuals so that they can decide if this is a feature to make a more permanent part of the social media site. Facebook’s goal is to respond to some common problems that people had in the past when breaking up with people. Many users didn’t want to unfriend or block their exes on Facebook, but still wanted to have a way to limit what they saw of their ex and what their ex saw of them. The hope is that users will be able to use the tools to make it so that they are able to end relationships easily and have more control over what they see of their ex on Facebook. 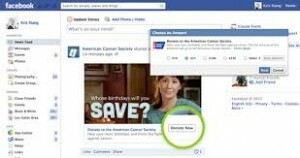 Facebook is striving to help nonprofit organizations by improving their previously adopted “Donate” button. For a while now this button has appeared on the home pages for various nonprofit organizations that are trying to raise money for their cause. Facebook recently decided to try expanding the use of the “Donate” button to allow organizations to add it to posts that would show up on the News Feed of Facebook. This is considered to be the latest way that Facebook is trying to connect its users with philanthropic efforts. With the new and improved button, charitable organizations will be able to focus more specifically on individual campaigns rather than donations to their organizations in general. If an organization wants to have people donate to something more specific that they are doing, they will be able to make a post about it that will appear on the pages of the people who are friends with the organization on Facebook. People will be able to donate directly through their News Feeds by clicking the donate button and going through a short process to enter credit card information. While this new tool is just starting to be tested, many people are already becoming concerned about how the tool will be used. Some people worry about the way that this kind of a tool can be used to collect credit card information and how this information might be used in the future. Others are more concerned with the way that less reputable charities might be able to encourage donations without Facebook users really doing research on the charities. The worry is that spontaneous donations via a Facebook News Feed may not really end up going to the charities that deserve them the most. Right now, the feature is only in its test phase of development with 37 charities trying out the new feature while Facebook perfects it. Already three different charities have launched fundraisers using the new tool to help with their seasonal campaigns. People will be able to donate using the button and also share the fact that they donated with friends to encourage others to give as well. The success of these early campaigns will give Facebook a better idea of how well the tool works. Since more and more people use social media on a daily basis it is becoming increasingly important for presidential hopefuls to interact with voters through the different social media platforms. 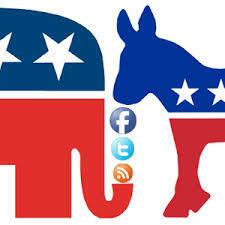 Politicians use social media presence to provide voters with information about their views and to connect with younger voters who are less likely to tune in to presidential debates. They can also use information on social media to see the way that opinions over certain issues and hot topics of debate are viewed by the general public. Since social media has a growing influence in people’s lives, it is becoming a platform that politicians can use to interact with voters. Some might feel like the politician with the most followers on Twitter or friends on Facebook, is the one most likely to secure more votes, but it isn’t that simple. Since people follow not only people that they actually agree with, but also accounts that are entertaining, it is likely that many followers and friends on Facebook and Twitter are actually looking for statements or possible slip ups that they can then share. In many cases, these items are shared along with sarcastic commentary to show the opinion of the person sharing the post. This means that in many cases the number of followers does not help anyone predict how many votes a candidate might obtain. In the past, social media has been shown to give a positive boost to campaigns for different individuals. Many people would agree that President Obama was able to secure much of the younger vote at least partially because of his social media campaigns prior to the 2008 and 2012 elections. However, it isn’t about getting followers, but instead actually expressing opinions and interacting with voters. People are more likely to be able to communicate with politicians on a personal level over these platforms. Supporters of the candidates can also push information about the views of the candidate that they like the most, giving candidates an extra boost. For example, the supporter created hashtag for Bernie Sanders, #FeelTheBern, became a big deal on Twitter. This hashtag spreading information about the candidate, while requiring little effort by the politician himself. While campaigning on social media is no doubt important, there have been many slips and failures throughout the time that politicians have been using social media as a campaigning tool. When Jeb Bush tried to start the slogan “Jeb Can Fix It”, Twitter users attacked the slogan, relating it to suspicions of his involvement with the voting scandal in 2000. Social media may be helpful to some candidates, but when something goes wrong with a campaign, social media makes it so that more people are more likely to hear about it. Campaigning in the age of social media has risks and benefits that were previously unheard of. For a while now, the real name policy on Facebook has come under fire for causing certain people to be removed from its site solely because they don’t use what would be considered their legal or “authentic” name. Many people believe that there are plenty of valid reasons that people might not be using a legal name which do not merit their removal from the site. Under the current policy, if people are reported as not using a legal name, then they have to show legal documentation that the name is valid. Critics of the policy state that this policy is discriminatory against certain groups of people. In response to a published letter about the problem, Facebook has announced that they are going to begin testing some changes to the policy that will keep it from being weaponized and used as a discriminatory measure. As the policy stands currently, many are criticizing the social media site for allowing their policy to continue. They claim that people are able to report those who they may not agree with to make it so that their page will be removed from the site. 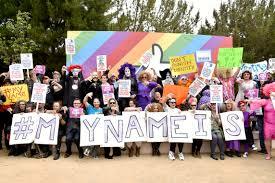 In many cases, this has led to transsexual individuals and drag queens being targeted by viewers of their pages. Facebook users complain that this damages the Facebook community and is unfair to those who may have controversial views to express. After coming under criticism for the policy, Facebook has responded to the problem by starting to make changes to the policy. With the new changes in place, people who need to confirm their name with Facebook would not have to provide legal documentation of their name and could give context to explain why they are going by a different name than their legal one. This change to the policy would allow people to use the names that most people know them by whether these are their legal name or not. Another change would require Facebook users who flag others for having a fake name to explain why they decide to flag the profile. Facebook plans to start testing their changes starting in December. In the world of social media, it makes sense for different websites to continually release new and different features that can set them apart from the others. Twitter is just one website that has been attempting to evolve to help keep the site popular. Since Twitter was first launched, there have been many big changes to the site to encourage people to continue using the site and to encourage new people to join. With some speculation that Twitter might be pushed out of the market by Instagram because of challenges within the platform, it is time for another big change. The newest change for the Twitter platform is the roll out of a polling feature, which will allow followers to vote to signify their agreement or disagreement about a specific question or pick from two specific options available. This will allow businesses and individuals to put up simple polls to help them streamline a process that they might previously have conducted through hashtags or other Twitter features. This will make it significantly easier for anyone to use Twitter to construct an idea about the opinions of their followers. 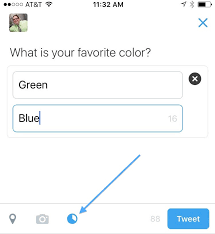 The new poll feature of Twitter is starting out as something that will be fairly basic. Users will notice a pie chart button showing up on their Twitter within the next few days. By selecting this button, users will be able to construct basic polls to talk about anything as simple as whether a referee made the right call in a sports game or something that a business might actually need to collect information from customers about. This will give people who use Twitter the ability to communicate with their followers in a completely new way. The Internet has been taken by storm after Facebook CEO Mark Zuckerberg’s announcement that Facebook is working on a ‘Dislike’ button. The Dislike button is one of Facebook’s most frequently requested features, likely because many other formats online (such as Reddit and Disqus) allow for a downvoting function to contrast the upvoting function that is equivalent to the Facebook ‘Like’ button. However, there are plenty of people who feel like a Dislike button would promote negativity, pettiness, and add to the existing problem of cyberbullying. 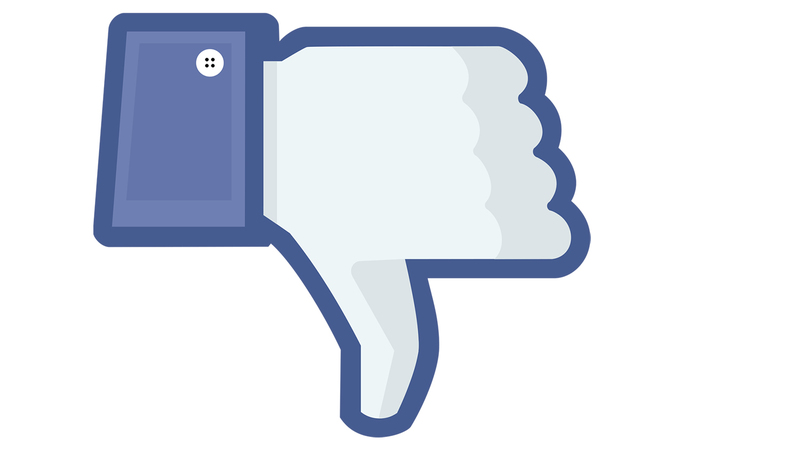 In reality, this upcoming Dislike button likely will not be as simple as a literal Dislike button. It’s more likely to take the form of a ‘Sorry’ button or something similar to that. This way, users would be able to express their condolences in situations like death, loss of a job, or the end of a relationship. 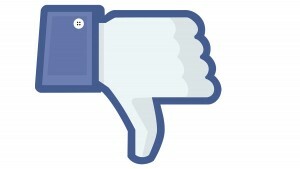 Though Zuckerberg specifically mentioned that the Dislike button was being worked on it, it likely will not appear in the form that many people are expecting. The new feature, however it may appear, is likely to be rolled out in the coming weeks. Last month, I spoke about a personal assistant that Facebook had been working on, at the time codenamed Moneypenny. It seems that the personal assistant’s final name is a different James Bond reference, however, as Facebook announced the launch of M this week. There are a number of ways that M will differ from other personal assistant services like Siri and Cortana. Primarily, M will work as a fusion between artificial intelligence and human input. Effectively, this means that your requests to M, as supervised by a team of people, will be able to complete tasks on your behalf. Though M is still in its early stages, Facebook believes that they will be able to create the ultimate personal digital assistant with its unique build. M will be able to purchase items for you, deliver gifts, book restaurants, make appointments and travel arrangements, and so much more. Another way that M is differentiating itself is by avoiding the voice-activation that can sometimes be a nuisance with services like Siri and Cortana. Instead, you’ll ask questions via text and a real person, an AI, or some combination of the two depending on the task at hand, will respond to you. M will be built into Messenger, so that you can easily communicate with your digital assistant without issue. There are many potential ways that M could be used that are getting people excited. With the combination of human and AI input, the possibilities are endless. 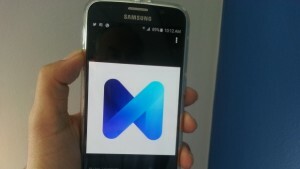 There are likely to be plenty of business applications and ways that Facebook will be able to monetize M as well. Though M has not been fully rolled out yet, it has begun open testing with a select number of users in the Bay Area.